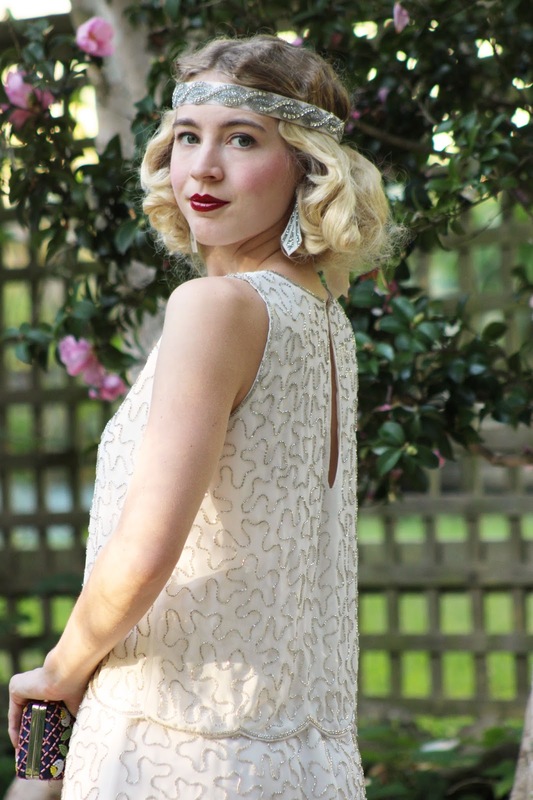 It's no surprise that I love wearing playsuits but how beautiful is this 20's inspired playsuit?! The Agnes is the perfect dressy playsuit for dinner out on a hot summer night or wear it with a cardi if it's a bit cooler. The Agnes has an elastic waist and a button at the back of the neck making it comfortable and easy to slip on... So yes, it is very comfortable for eating out or wearing to an event whilst still looking really elegant, great for dancing too! It's lightweight with beautiful fabric, beading and is scalloped on the shorts for that extra added detail. 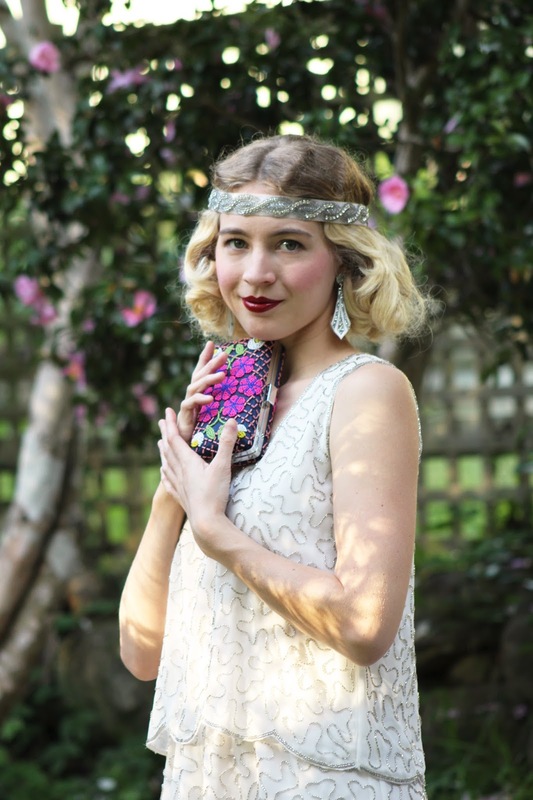 It's a well constructed piece just like the 20's dress I featured from Like a Rainbow Shop last month. I was planning on wearing a perfectly Autumn/Winter outfit out today but heavy rain has hit and it looks like it's here to stay for the week. I did go out and buy a new tv cabinet this evening which I'll be setting up soon. I also started watching the new Anne with an E series on Netflix this week with mum which I'm really really enjoying, I've always loved Anne of Green Gables. I've been trying to map out my sewing plans for the next few months for when I get a little bit of time each week to work on projects. I found myself buying quite a lot of new fabric recently and I can't wait to use it, even if it takes me a while it's good to have a fabric stash especially when I purchase it on sale! I'm going to watch another episode or two of Anne with an E and then get to bed in a few hours. Enjoy the rest of your week! What I lovely playsuit! I've never seen something similar and need one like this now! Love your vintage style, its so spot on! Oh wow! I am blown away by these pictures! It is super glamorous, but at the same time has an almost sporty, tennis look to it. And what a perfect backdrop with those blossoms! In the event that the monetary allowance can't adjust request and supply, safe payday online advances are one way a credit tested individual may tackle a brisk cash issue. You should spending plan your next payday painstakingly to abstain from confronting the budgetary weights and abstain from tumbling down in the payday cycle once more. Owning a business is a piece of the American dream. This nation is loaded with stories about independent men and ladies who begun from only could parlay diligent work, persistence, and a smart thought into fruitful organizations.